Leaf:Deciduous, appearing singly on new growth and in whorls on older growth, 1 inch long, light green in color. Flower:Species is monoecious; males light yellow, small and round; females yellow to red, with long, curved scales. 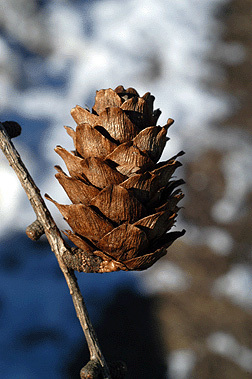 Fruit:Cones are 1 to 1 1/2 inches long, ovoid, composed of many scales that are longer than the bracts, borne upright on the twig, maturing fall to early winter. 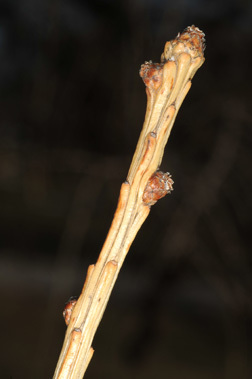 Twig:Straw-colored, bearing rounded buds. 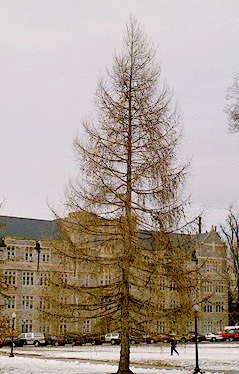 Spur shoots present on older growth, buds dark brown. 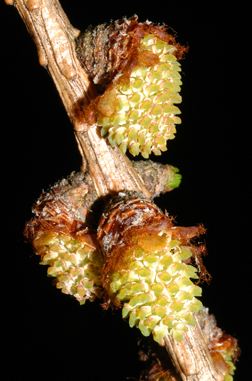 Bark:On young trees the bark is scaly and gray, later becoming furrowed with a reddish brown inner bark. 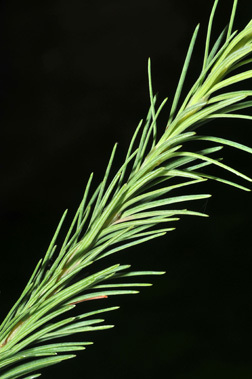 Form:Well formed, with a straight stem, pyramidal crown, and drooping lateral branches.